According to yesterday's The State newspaper, Syrian refugees have begun arriving in South Carolina. 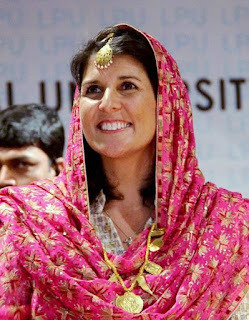 And Governor Nikki Haley is just shocked! Shocked! In response to statewide opposition and public pressure, hadn't she publicly "requested" that Syrian refugees not be settled here? Her office claims to have been completely blindsided by the collaboration of her Department of Social Services and Lutheran Services Carolinas on the first Syrian placements in South Carolina's Midlands. Sadly, this is only the latest example of what a lying, duplicitous Governor we have and why she has so richly earned the appellation of Trikki Nikki. 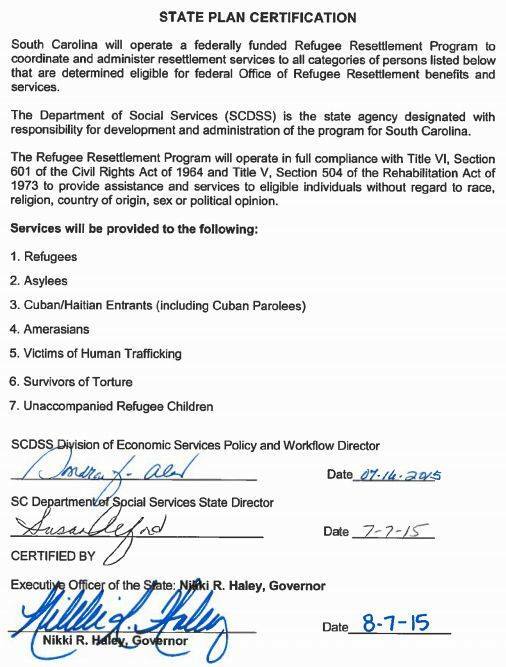 She knew very well when she signed an agreement on August 7th that Syrian refugees would be coming to South Carolina. Your safety and well-being be damned. It means federal dollars for her friends and all subsequent "requests" were merely for show. Federal shackles follow federal shekels, as Trikki well knows. 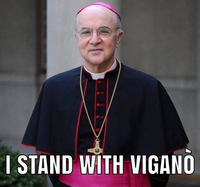 So, arm yourselves, South Carolinians; Trikki and the feds are not going to protect you. And be forewarned America, our very corrupt Governor is concerned only about her own selfish advancement.